Larger than life lashes can be yours within minutes. You no longer have to rely on layers of mascara to get you to sky high lashes. 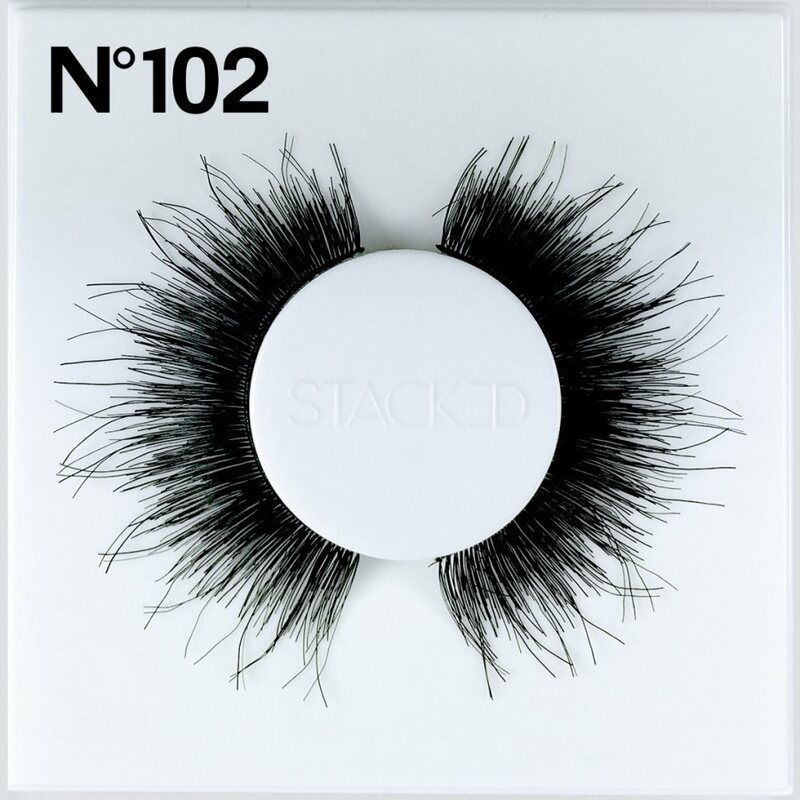 Ultra-fluffy Stacked Cosmetics 102 Lashes are the answer to your fabulous lash dreams. 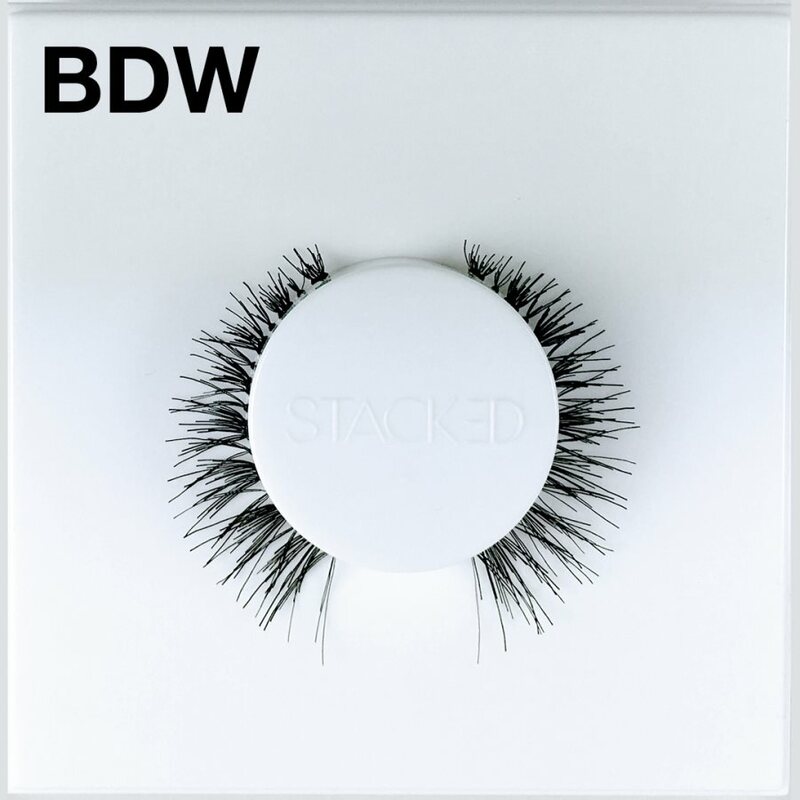 These dense lashes add tons of volume and wispy length to your natural lashes for a bold, glamorous look. 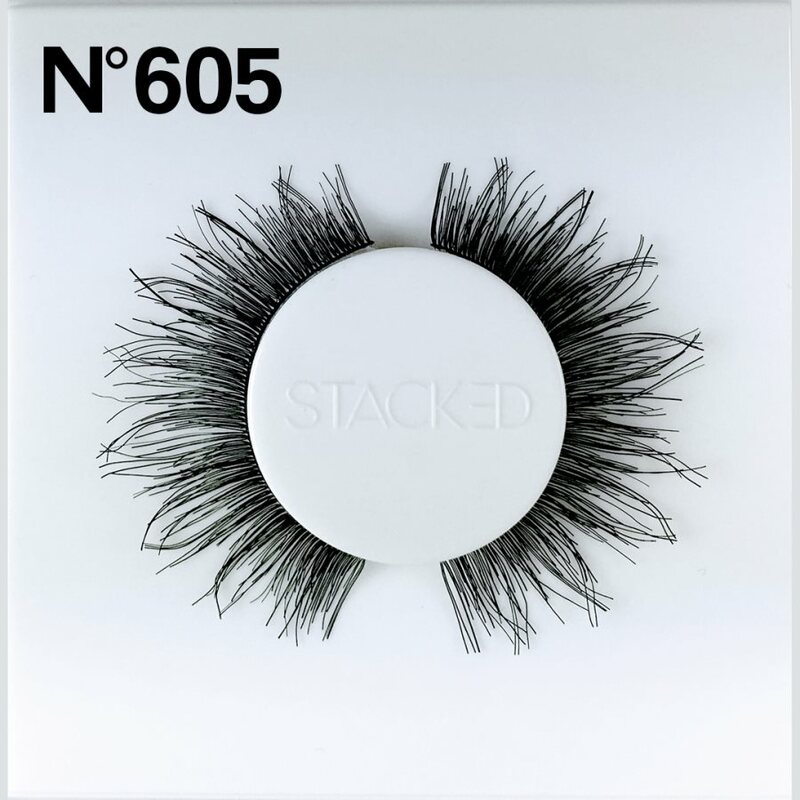 Because of their size, these faux eyelashes are best used alone. 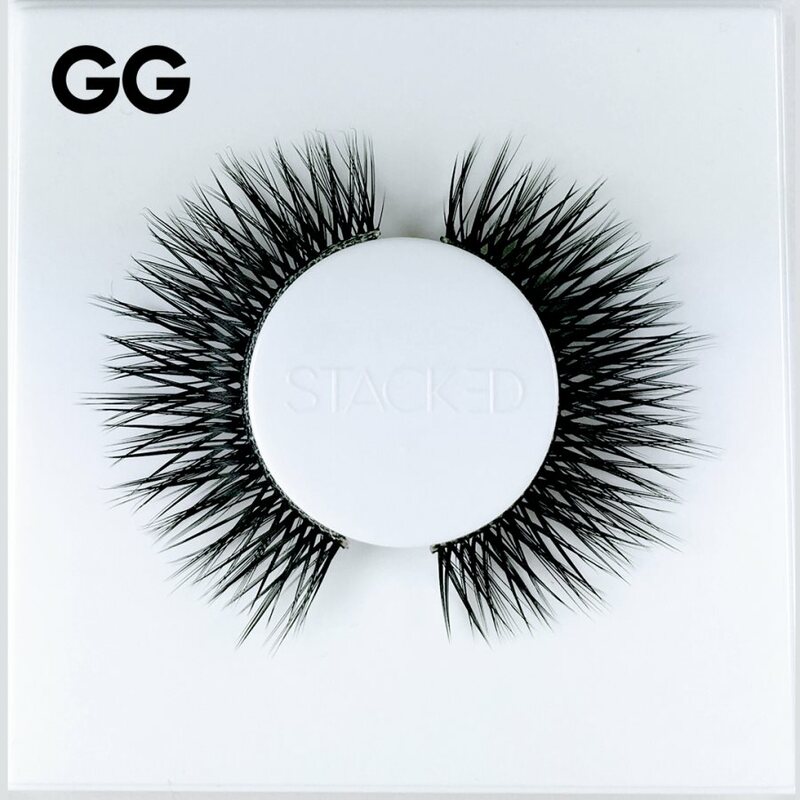 Reach for the sky with these uber long Stacked Cosmetics 102 Lashes. Baby "Demi" Wispies, like Demi Wispies, but smaller, shorter, more subtle. Comparable in style to Ardell Baby Demi Wispies, but premium in quality. 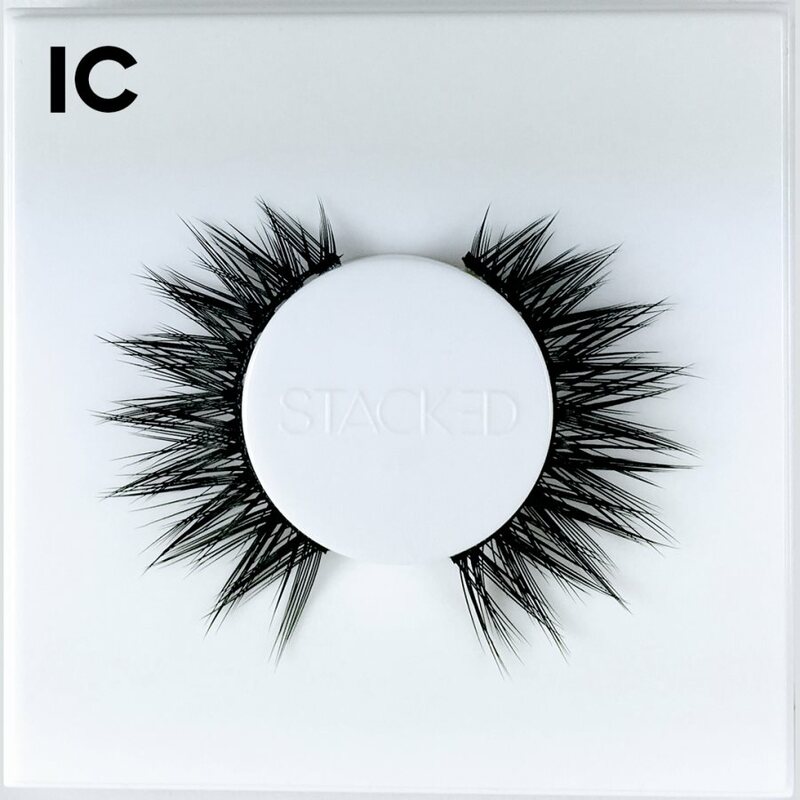 A lighter version of Stacked "IC" lashes. "ICL" lashes: A light, gorgeous, super fluffy clustered design and crisscross pattern made of lightweight, feathery, silky lash hairs. Double layered false eyelashes. 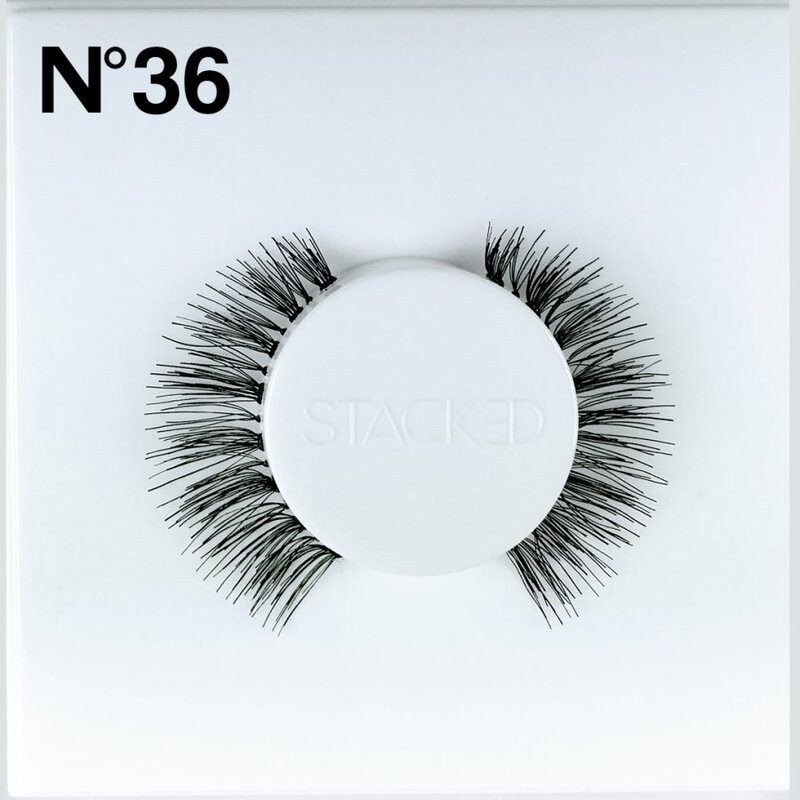 Lashes by Stacked Cosmetics are packaged in reusable, space-saving, stackable trays, which were designed to store the lashes throughout many reuses. Perfect for any vanity table or makeup kit! If you like wispy lashes, these are a must-try on the wispies list! These lashes hold their own against the famed Ardell Wispies. You work hard and play harder. You need a beauty routine that’s quick and simple and beauty products that versatile and easy to apply. 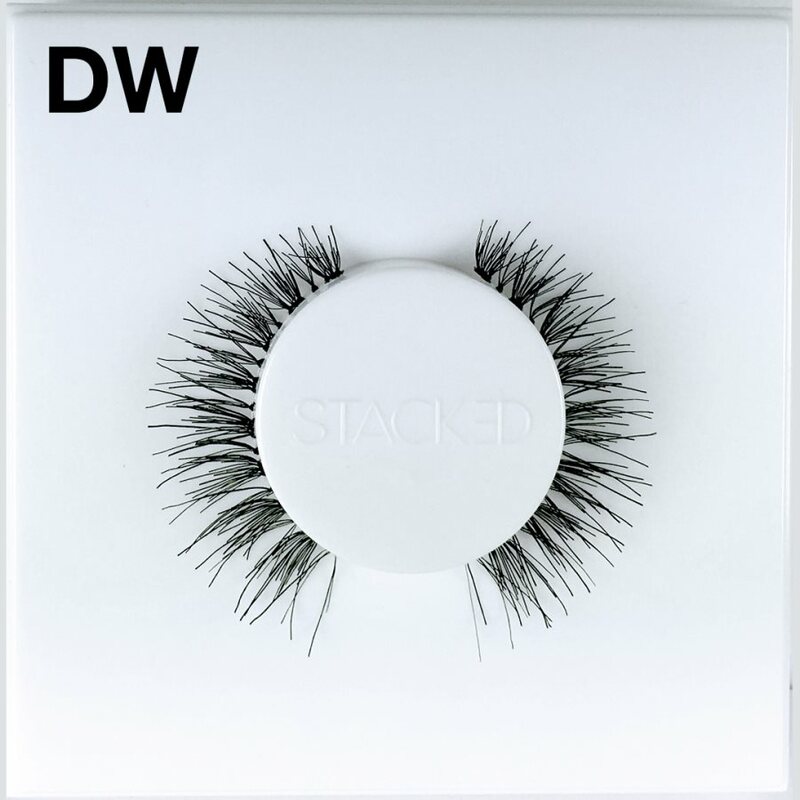 Stacked Cosmetics WSP Lashes offers up everything you want wrapped in an ultra-glam package. 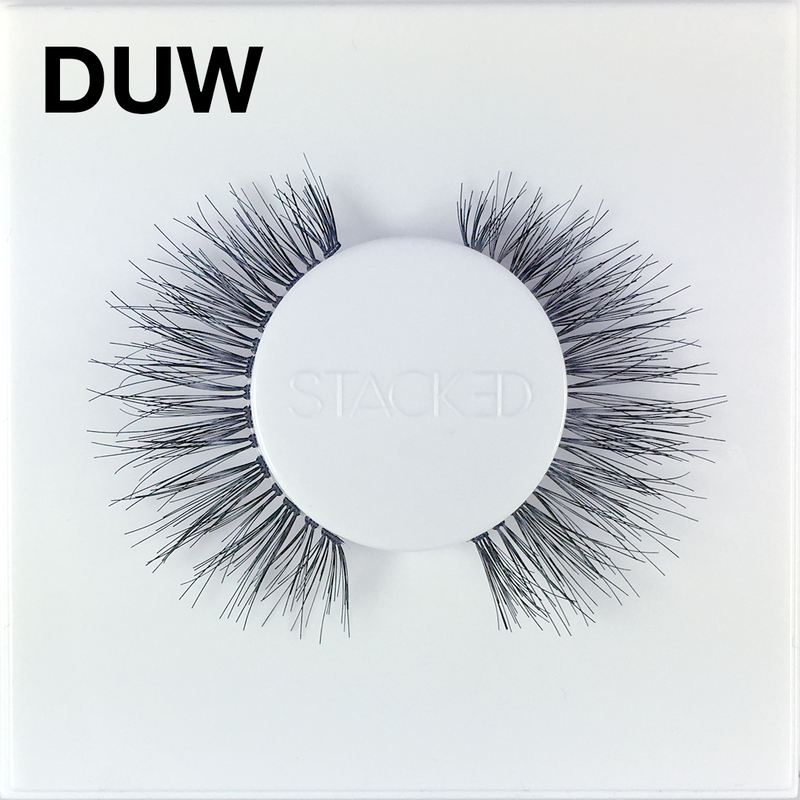 These long, wispy lashes add subtle length and volume when worn alone, but creates a striking look when stacked with another pair. 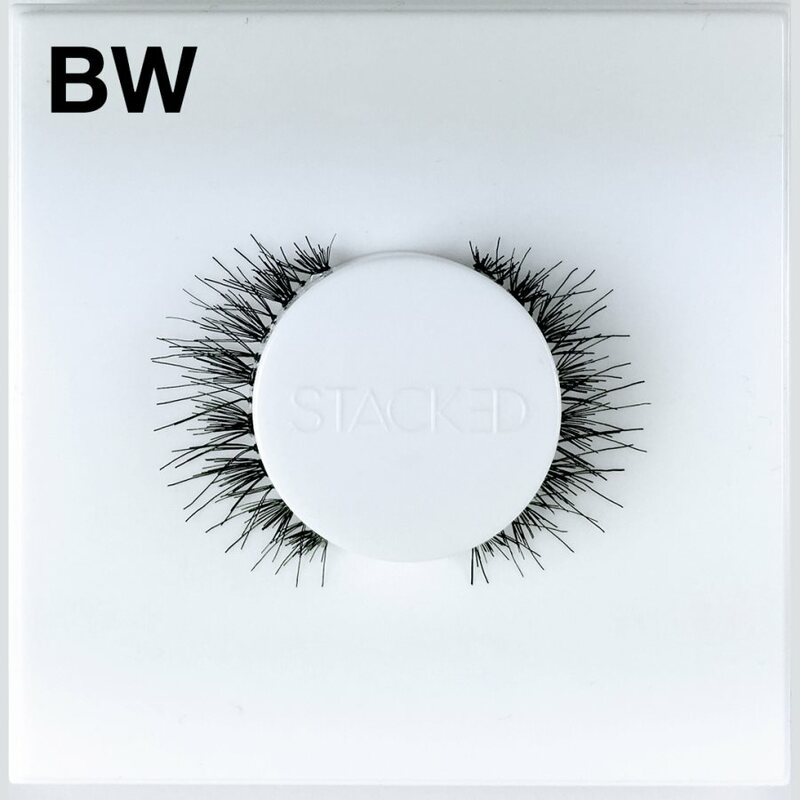 Universally flattering, these fab false lashes work with any size or shape eyes. 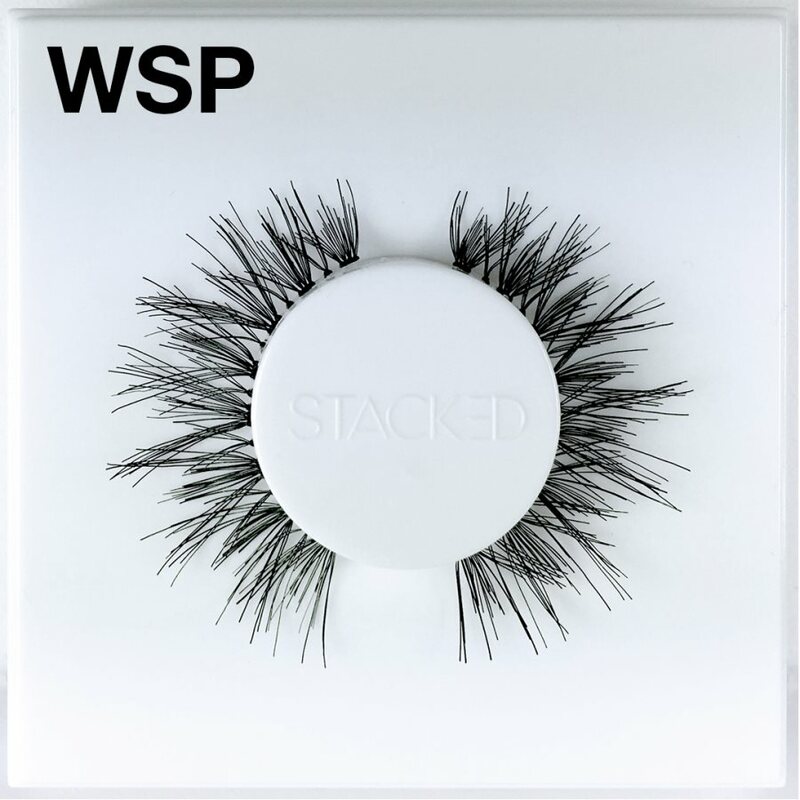 Get stacking with Stacked Cosmetics WSP Lashes, and don’t settle for makeup that doesn’t play as hard as you do.